Online Printing Company | Print Online At UPrinting.com! Get a Free Proof, before you pay! Clients file is missing bleeds and has other errors. We correct technical issues and create a proof! Our famous Free Project Review gives you full access to our prepress department to get your files checked, fixed and proofed, before paying! First time customers that are not ready to order. Those who are unsure about file setup or need help. Designers that need client sign-off. 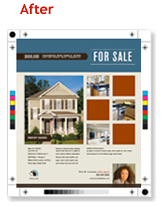 Customers with complex custom or multi-page print jobs. How much does it cost? It's free. You just need to submit your files, we handle all the rest. Do I need to do anything to my files before uploading them? No. However, we do recommend you follow our File Setup Guidelines and upload in PDF format. How long does it take? Allow up to 6-12 business hours for our team to check your files and create a proof. If you're in a rush, we recommend placing a paid order and requesting a proof. How will my turnaround be affected? 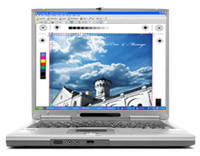 Free Project Reviews are not considered print orders, therefore there is no turnaround. Turnaround for a print job starts when a proof is approved and full payment is received. *We do not fix typos or low resolution images.